Very grateful to be one of the finalists of the SME of the Year Award in La Rioja organized by the Chamber of Commerce and Industry of La Rioja. 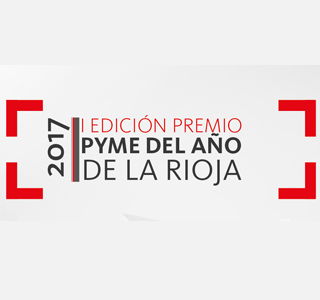 The jury of the SME of the Year Award of La Rioja has chosen the companies ADR INFOR S.L., BODEGAS PACO GARCIA S.L. And TECAI INNOVA S.L., as finalists of this award, convened by the Chamber of Commerce, Industry and Services of La Rioja, and Santander Bank, with the collaboration of the newspaper La Rioja. The jury took into account the innovative commitment, the evolution of turnover and employment, its commitments in terms of training and the international presence as the main merits of the three finalist companies. The name of the winning company will be announced at an event at the Chamber of Commerce of La Rioja next November 7, at 11 am, in the Chamber of Acts of the Chamber (Gran Vía 7, 2nd floor). The jury of the SME of the Year Award from La Rioja was composed of: D. Florencio Nicolás Aransay, general director of the Official Chamber of Commerce, Industry and Services of La Rioja: Mr. Raúl Mínguez Fuentes, director of the Chamber’s Research Service Trade of Spain; Mr. Javier Ureña Larragán, manager of the Economic Development Agency of La Rioja; Mr. Domingo Metola Metola, responsible institutions in La Rioja of the Bank of Santander, and Mr. Javier Doval López, general director of the newspaper La Rioja. A total of five companies went to the final phase of the SME of the Year Award of La Rioja, convened with the aim of highlighting the role of Spanish SMEs in the generation of general welfare for the whole of Spanish society. This project has responded to the interest of the Chamber of Commerce, Industry and Services of La Rioja, and Santander Bank for helping the progress of companies and seeks to recognize and give visibility to the daily effort of entrepreneurs and their contribution to economic development and job creation. The initiative also deepens the collaboration between Banco Santander, the network of Chambers of Commerce and the local media. 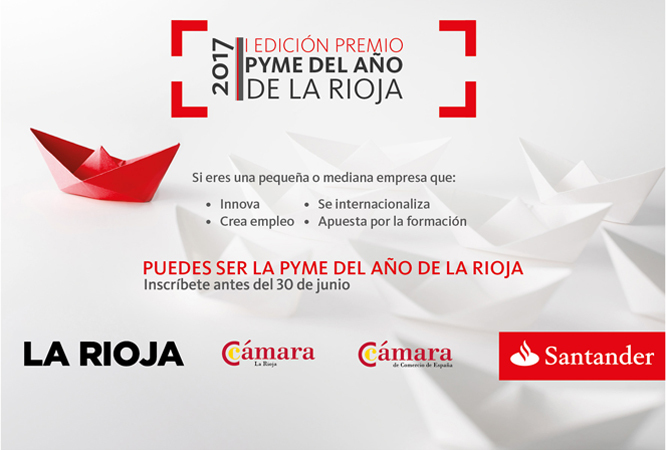 The 2017 SME of the Year Award from La Rioja has been open to small and medium-sized companies, with fewer than 250 employees, with an annual turnover of less than 50 million euros in 2016 and headquartered in the Autonomous Community of La Rioja .